Rabbi Pinchas Dovid Horowitz, born in Jerusalem, scion of great Chassidic dynasties became one of the first Chassidic Rebbes in America when he settled in Boston in 1915. In 1939, Reb Pinchas Dovid – then known as the Bostoner Rebbe – moved to Brooklyn and founded the Bostoner Bais Medrash of Williamsburg. 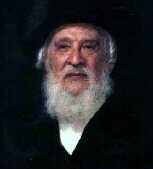 Upon his passing in Kislev 1941 his older son, Reb Moshe, succeeded his father as the Bostoner Rebbe of Brooklyn. Two years later Reb Pinchas Dovid’s younger son, Reb LeviYitzchak, returned to Boston and founded the New England Chassidic Center well known for its work in Kiruv, Chesed, and Hachnossas Orchim. Reb Moshe was instrumental in the early development of Yeshiva Torah Vodath, active in the leadership of Agudath Israel of America, and in the Vaad Hatzolah. He later founded the Bostoner Bais Medrash of Crown Heights and the Bostoner Bais Medrash of Boro Park. In 1981, upon the passing of Reb Moshe, z’’tl, his son, Reb Avrohom Horowitz, succeeded his father as Bostoner Rebbe of Boro Park and now in Ramat Bet Shemesh. Reb Avrohom’s younger brother, Reb Pinchas Dovid, founded Yeshiva Darchei Noam and brought Bostoner Chassidus to his Bais Medrash in the Flatbush section of Brooklyn. In the long standing Bostoner Chassidic tradition of providing community service, Chassidic warmth, and Achdus, the Bosnter Bais Medrash of Lawrence was founded by Rabbi Yaakov Horowitz, son of the Bostoner Rebbe in Boro Park/Ramat Bet Shemesh , in Adar of 1992. In a relatively short time the Bostoner Bais Medrash of Lawrence has made its mark on the Five Towns-Far Rockaway area with its innovative youth programs, nursery, and community service projects. Among others, the area’s first Father & Son learning program, Choir activities, Annual Purim Costume Competition and late night Minyonim, have not only been successful in their community wide participation but have also served as a springboard for similar programs initiated by a number of notable congregations and organizations throughout the world.